Cheers everyone! 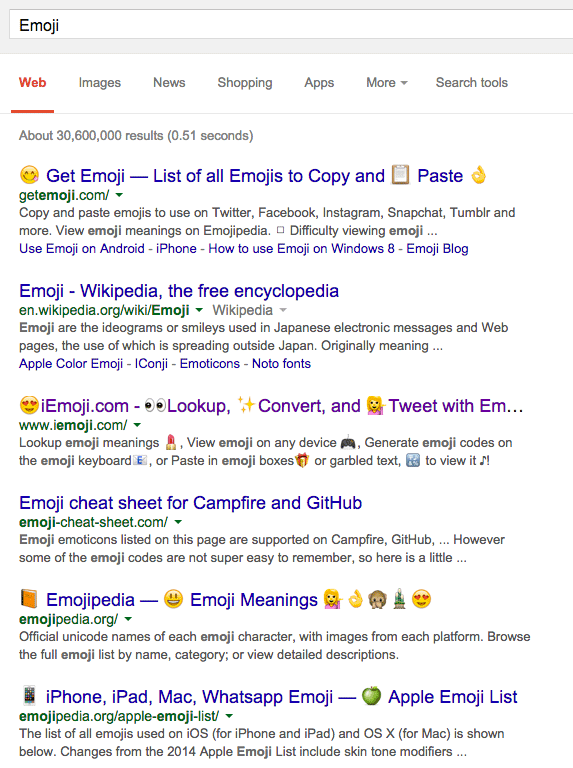 Google now is displaying emoji characters in full life in the Google search results! Dan Barker first spotted this and posted it on Twitter, where Jennifer Slegg covered it in much greater detail. 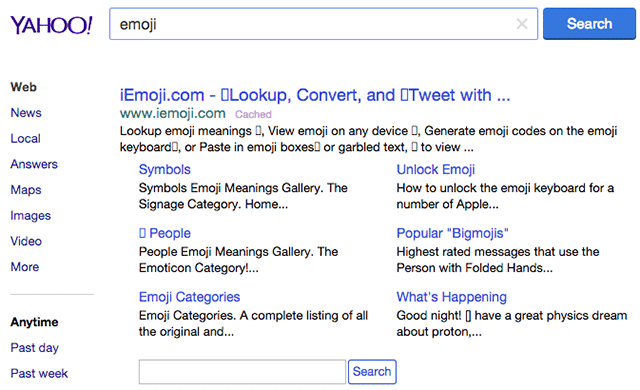 Just to give you some history, back in 2012 when Apple's iPhone first began promoting emoji characters, Google's mobile search results for iPhone began displaying them. In 2014 they were still there. But they never showed on the desktop search results until now. 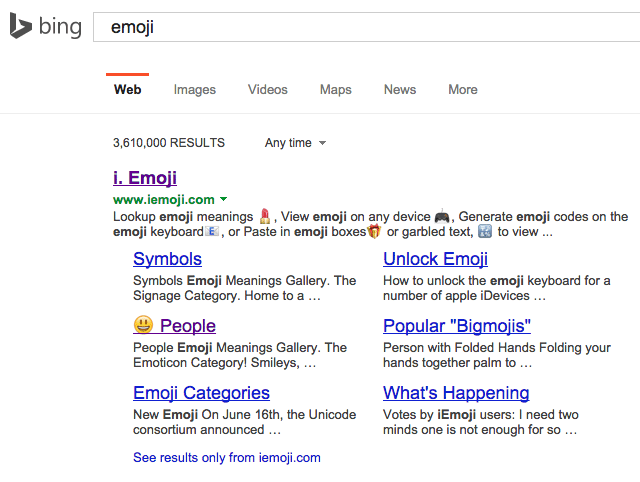 I don't think Google specifically changed something, it might be that browsers now support the characters on the desktop now, now that emojis are becoming more and more popular.